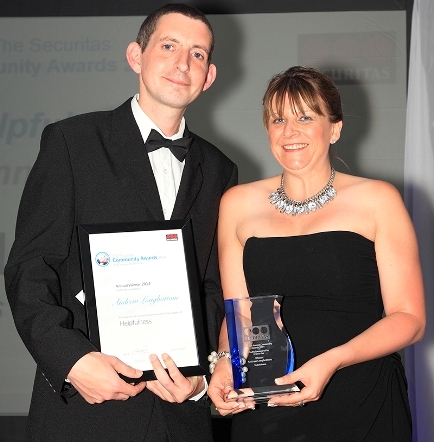 Securitas has honoured a Leeds security officer for his helpfulness at the company’s fifth Community Awards ceremony. Andrew Longbottom, 34, received the “Community Award for Helpfulness” at the annual event, which was held at the Tortworth Court Hotel in Gloucestershire. Andrew, a security officer at Leeds Bus Station was nominated by bus station manager, Richard Tomys, for ensuring the safety and comfort of a member of the public in need of assistance at the station. “As Andrew was locking up the station late one evening, he asked a customer in a wheelchair if he needed assistance. Not wanting to leave the man outside in the cold, Andrew phoned 101 and waited with him for over three hours after his shift had finished for the police to arrive, making him tea and keeping him warm. “This award recognises exceptional service and we felt Andrew fully deserved it.